The Kindness Crusaders Superhero Adventure Series includes stories to help children learn how simple acts of kindness can make the world a better place, and to develop their sense of empowerment to help others through their own kind acts. Buy books and official Kindness Crusader capes and helping hand wristbands that help young readers follow the lessons of the Kindness Crusaders Superhero Adventure Series as they complete acts of kindness in their own communities! Every child can be a Kindness Crusader! Visit the AOK Challenge badge gallery to find random acts kindness and project ideas for kids to inspire kindness at home or in the preschool, kindergarten or elementary school classroom. 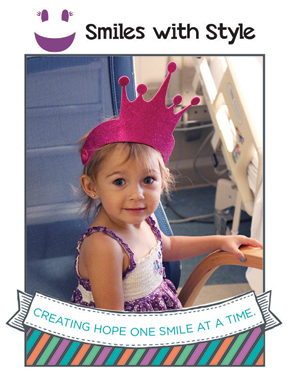 Consider donating a storybook, superhero cape and helping hand wristbands to our charity partner, Smiles with Style, to bring joy and smiles to hospitalized children!